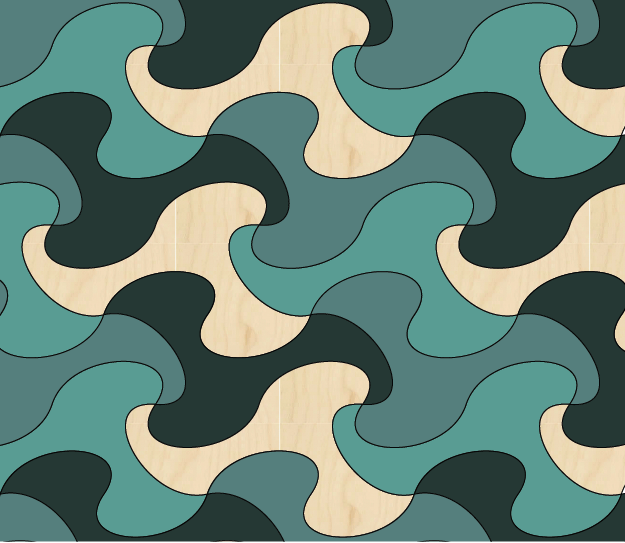 After we chose the colors, a family member was reminded of sea serpents. 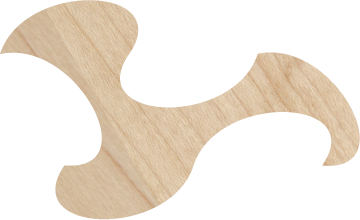 So we named this shape Nessie. Nessies allow for a remarkable variety of patterns. 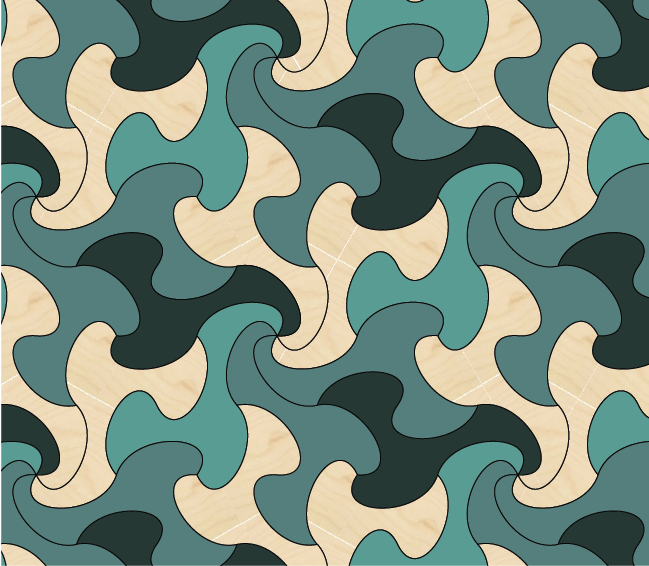 The above tiling patterns have translational symmetry, which means that if you had a tracing of the pattern, you could slide the tracing to other points where it would match the new location. You can also create dramatic radial patterns with rotational symmetry. 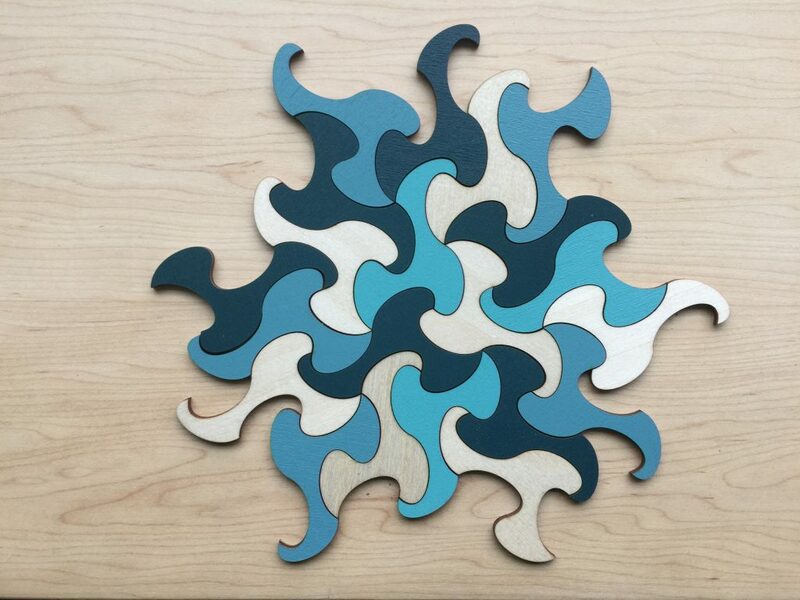 The pattern below has 3-fold rotational symmetry. This means you can stick a pin in the center of this pattern, and as you rotate around the pin, the pattern repeats itself every 120°. It is also possible to create 2-fold and 6-fold symmetries.